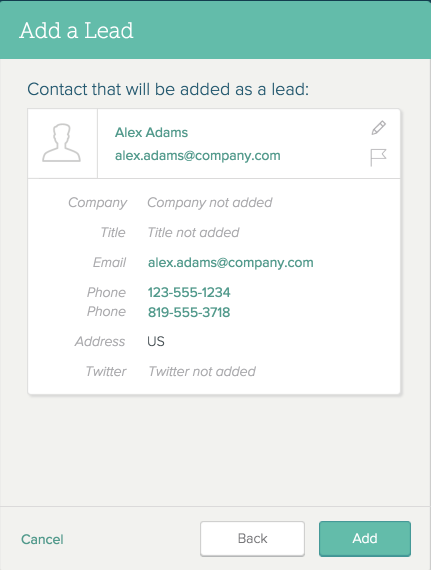 You can easily add any Contact such as a lead an an object to a Contact-based List. (Learn more about List types.) You can add the the Contact as a List object from the Grid view, from the Contact profile page, or from the Contact Gallery. Note: You can also add an object to an Account-based List. Open the List to which you want to add an object. Click Add [list object] in the upper-right corner. 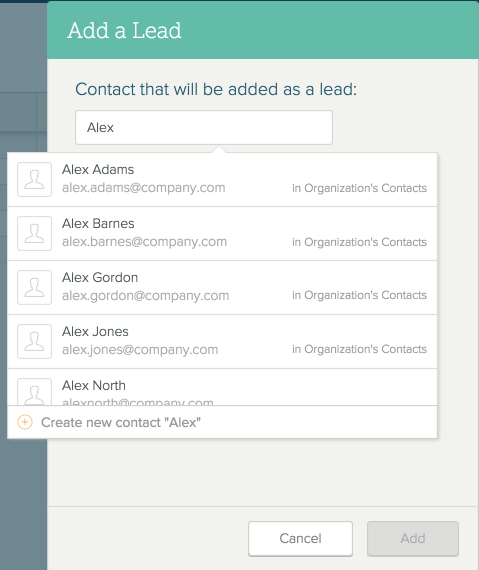 On the screen that appears, enter the name of the Contact you want to add as a List object. If the Contact already exists—Select the Contact from the search results. 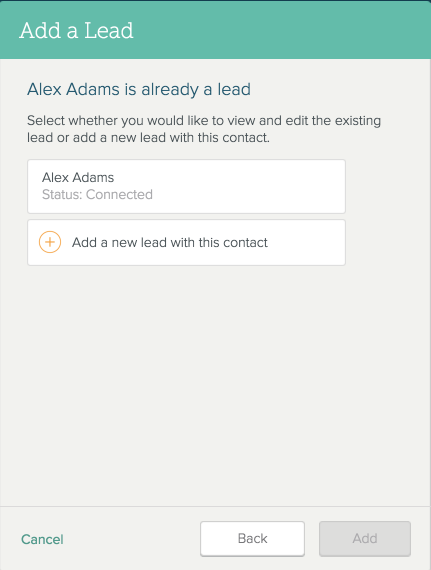 To create a new Contact—Click Create a new contact [name]. Enter the Contact name, email address, and phone number. Click Create. To update an existing List object for the Contact, select it. 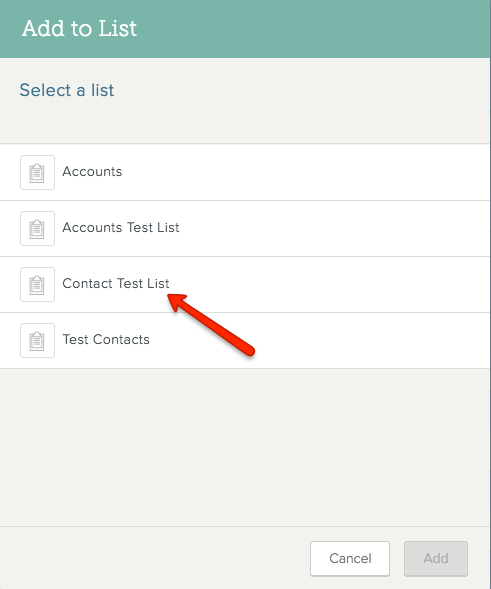 To add a new List object for the Contact, click Add a new [List object] with this contact. 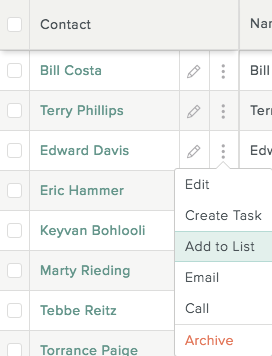 Select the Contact-based List to which you want to add the Contact. Note: If you want to add the Contact to an Account-based List, follow these steps instead. Check the boxes to the left of the Contacts you want to add to a List. 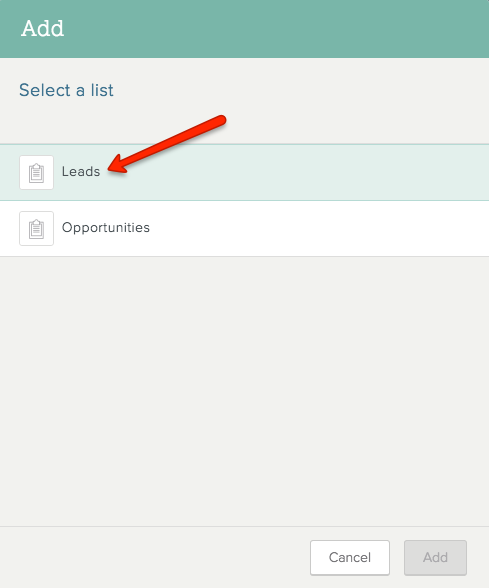 Select the Contact-based List where you want to add the Contacts. Note: If you want to add the Contact to an Account-based List, follow these steps instead.